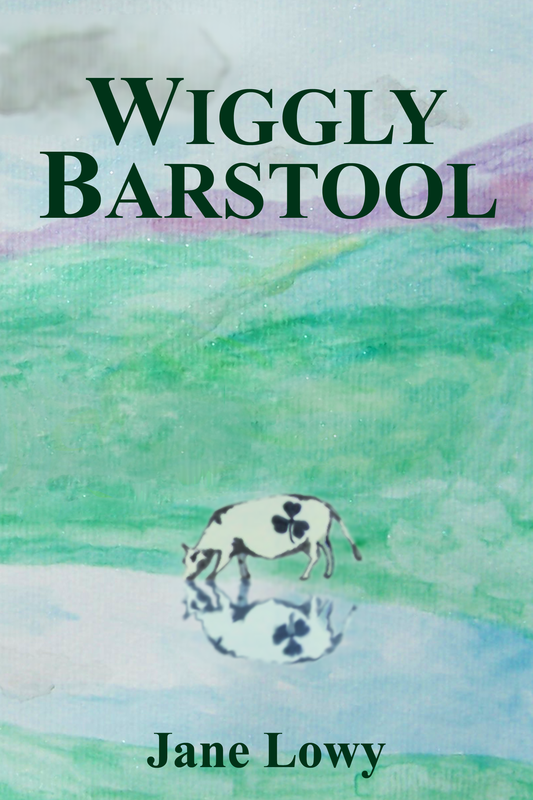 In this companion volume to Wobbly Barstool, Wobbly’s dynamic, mercurial son Wiggly seeks to promote veganism in Edwardian Britain while matching wits with a scampish Irish baronet. ​Tiring of his photographic portraitist profession as of many other brief careers, an enterprising and ever-restless Edwardian Englishman, Wiggly Barstool, travels to Ireland accompanied by his self-effacing cousin Sebastian. The two there seek “The Miracle of Tipperary”, a cow fabled to bear the perfect likeness of a shamrock on its flank. Their quest brings them in contact with Fiona, an ethereal animal-rights enthusiast, and Lucy, a spirited American zoologist. The four team up to advance the principles of “strict vegetarianism” and animal liberation, cinematically employing the unusual cow as a poster child, and putting themselves at odds with Sir Patrick O’Dell, a brilliant rascal determined to thwart them. Adventure, romance, mystery, and psychological analysis await in this droll turn-of-the-century romp.